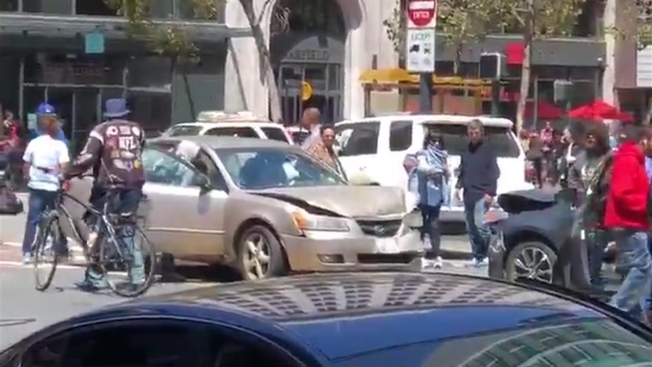 A bicyclist was hit but a car in San Francisco Thursday afternoon, police said. The bike rider was taken to the hospital with minor, non-life threatening injuries after the collision on 6th and Market Street. The victim was conscious and talking to officers, according to poice. The investigation is ongoing. No other information was available.